Tesla is installing underbody fire shields to its Model S electric cars, though CEO Elon Musk insists the risk of fire is much less than with gas cars. 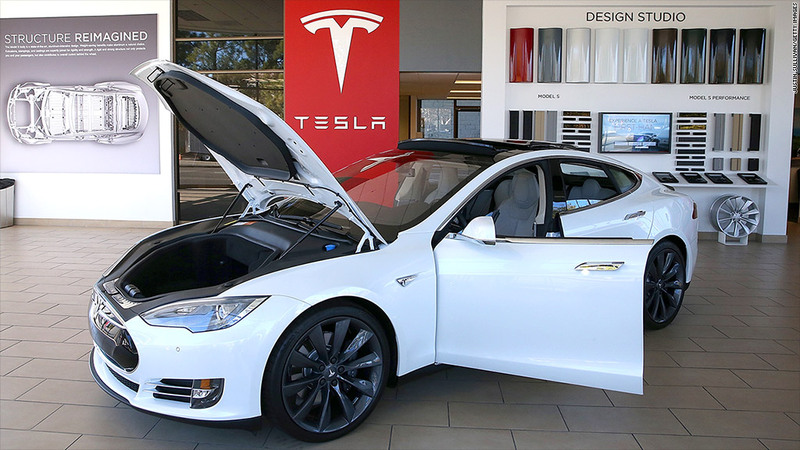 Tesla Motors is installing titanium shields under its electric cars to further prevent fire risk, CEO Elon Musk announced on Friday, even as he downplayed the need for them. Musk wrote in a blog post that Tesla has been installing the underbody shields on new Model S cars since March 6, in response to some highly publicized fiery accidents. Tesla (TSLA) received a lot of attention for three fires involving its Model S. Musk, who founded the electric car company, said concerns about fire problems with his vehicles are overblown. "It is important to note that there have been no fire injuries (or serious, permanent injuries of any kind) in a Tesla at all," he wrote. "The odds of fire in a Model S, at roughly 1 in 8,000 vehicles, are five times lower than those of an average gasoline car and, when a fire does occur, the actual combustion potential is comparatively small." Two of the three fires occurred from road debris, while the third fire occurred last year in Mexico "after the vehicle impacted a roundabout at 110 mph, shearing off 15 feet of concrete curbwall and tearing off the front wheel, then smashing through an eight foot tall buttressed concrete wall on the other side of the road and tearing off the right front wheel, before crashing into a tree," Musk wrote. The driver walked away "with no permanent injuries" and the fire started several minutes later, according to Musk. A National Highway Safety Administration probe of the fires was closed this week. "Telsa's revision of vehicle ride height and addition of increased underbody protection should reduce both the frequency of underbody strikes and the resultant fire risk," the agency wrote in a report. "A defect trend has not been identified." After the crash, one of the drivers announced he intended to buy a new Tesla. There were 25,442 Model S cars sold worldwide through the end of last year. Tesla expects to double sales this year. Tesla stock took a temporary hit from the publicity about the fire although the stock has since recovered and is up 40% so far this year.